Capitol Land Trust will make more great strides for conservation thanks to the Washington State Legislature who passed both the Washington Coast Restoration Initiative (WCRI) and a strong Washington Wildlife & Recreation Program budget that includes funding for farmland conservation. 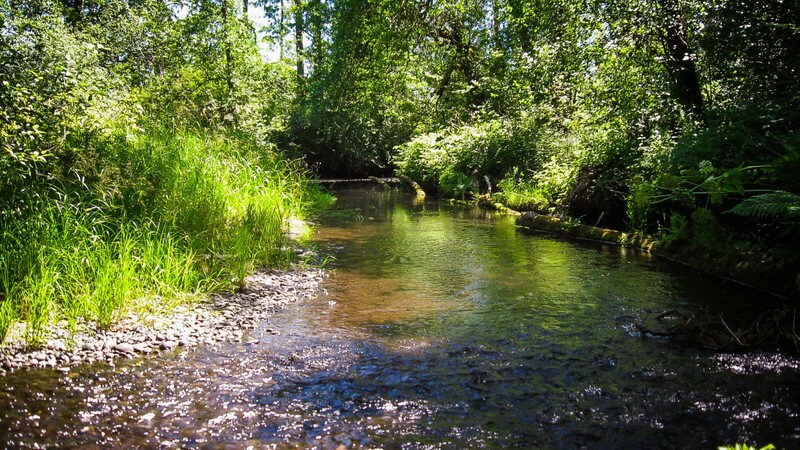 Washington Coast Restoration Initiative – Capitol Land Trust was awarded nearly $2 million from this new program to restore lands along the Chehalis and Black Rivers, and to purchase a 300-acre parcel along Darlin Creek between the Capital State Forest and the Black River Wildlife Refuge. A large coalition of land trusts and public agencies, led by The Nature Conservancy, envisioned this initiative and worked with legislative leaders to advance local restoration jobs, and to improve flood control and salmon habitat. Washington Wildlife & Recreation Program – The legislature awarded Capitol Land Trust $750,000 to purchase a conservation easement over the Nelson Family Ranch, preserving a historic cattle ranch along the Deschutes River. The ranch is home to a prairie with Mima mounds and stands of old oak trees. Mason County, in partnership with Capitol Land Trust, was awarded $1 million to acquire property on Coulter Creek near Allyn. Trails on the property will be open to the public and provide access to the Sound. The funding of these and many other projects is a huge win for conservation. We should all be proud that our legislators, especially those in the 20th, 22nd, and 35th districts, made this commitment to conserving and restoring our lands and waters – right in our backyard! We still have a long way to go until these lands are permanently conserved and restoration begins. The CLT team has spent years developing these projects, and grant funds cover only specific project costs. We can’t stress enough how important your gifts are to each and every conservation effort. Healthy rivers, lush forests, open prairies, family heritage, local food, – that’s the future you help make!